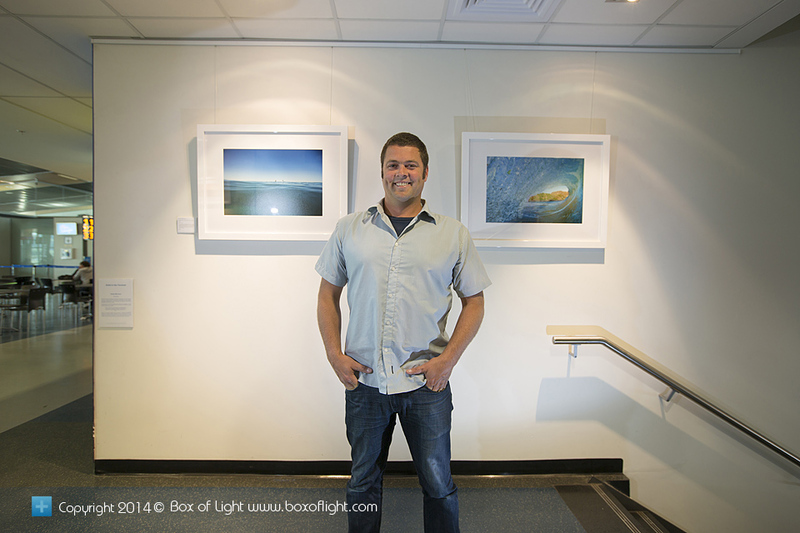 From now until the end of February we are having a special Box of Light photographic exhibition at Dunedin International Airport. The amazing team at the airport are big fans of Dunedin artists and have been running their artist in residence program to highlight them. We are very pleased to be invited to show our work over January and February. If you are passing through, then grab a coffee and check out some of the 15 framed works we have on display there. If you like one then let the airport crew know and you can take it home with you! Big thanks to Anne Tipa, Richard Roberts, Megan Crawford and the rest of the team for their incredible suport of Box of Light. Derek's Box of Light image of a wave breaking on dusk at Blackhead Beach has been named as the Runner-Up in the Landscape category of the New Zealand Geographic Photographer of the Year awards held in October 2013. "To have an image selected among all the entries and among the calibre of photographers in the final 20 images, is a great honour," explains Derek. "As far as editorial photography competitions go this is the pinnacle in New Zealand and I am stoked to have been a part of it." We are excited to let you all know that last week our Dunedin Light image of a wave breaking at Blackhead Beach was named as one of 20 finalists in the New Zealand Geographic Photographer of the Year competition. 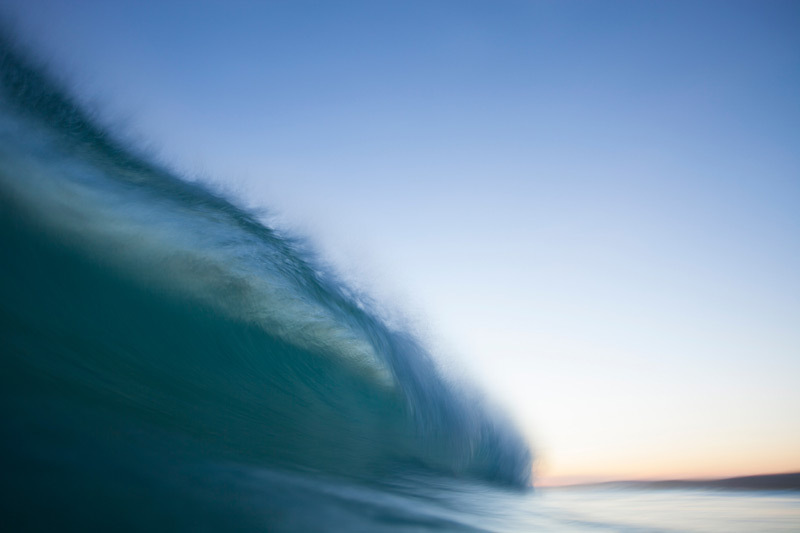 We are absolutely stoked to have an image in this impressive line-up of photographers. Jump on and vote for your favourites in the People's Choice Awards. After almost a year of Dunedin Light weekly photography reports we are putting the finishing touches on a 160-page hardback coffee table photographic book. 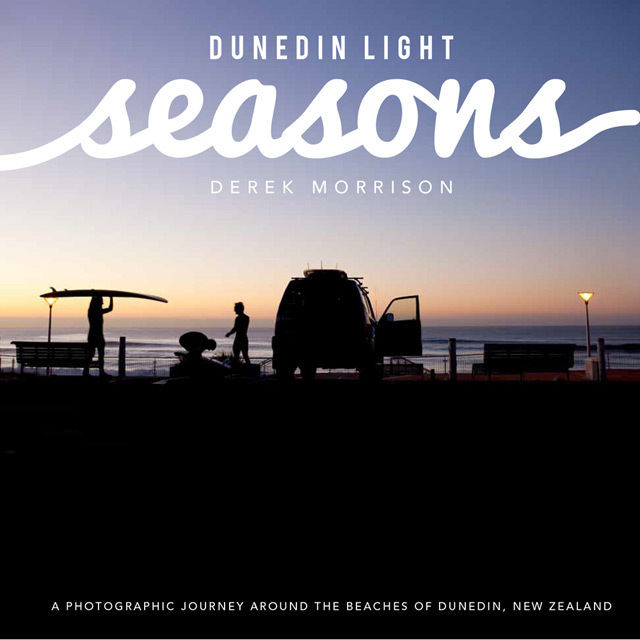 We've called it Dunedin Light Seasons and it traces the arc of the sun across the beaches of Dunedin throughout the four seasons. It is available for pre-order now at www.ridemedia.co.nz Books will be shipped at the end of October, 2012 – just in time for Christmas. Dunedin Light is proud to be exhibiting a collection of framed prints alongside St Clair artist Jason Low at The Chart Room at Hotel St Clair on St Clair Beach. Entitled Oceans of Inspiration the exhibition showcases images and oil paintings from the St Clair area. If you're in town pop into reception at Hotel St Clair, hang a left and you'll find The Chart Room. The lovely team at reception can help you with your enquiries. Send an email to info@dunedinlight.com if you'd like to know more!